HALF-DAY PARIS DISCOVERY TOUR – With your driver and with your personal guide you will start the day with a quick briefing which will highlight what you may like in order to create in a few minutes a tailor made tour which will suit your real interests. For instance, we can drive you to the Opera Garnier, Place Vendome, Palais Royal, the Louvre, Ile de la Cité, Cathedral Notre Dame, Sainte Chapelle, the Conciergerie, the Hotel de Ville (Town of Hall), the Ile St Louis, the Old Paris (left Bank): Latin Quarter, the Sorbonne (university), the Pantheon, the Luxembourg Garden, the Church St Sulpice, the Saint Germain district (home of many jazz musicians, writers and painters since the roaring 20’s), the Orsay Museum (outside visit). You will also pass by the Concorde square, the Champs Elysées, the Arc de Triomphe, the Grand Palais, the Invalides, the Eiffel Tower where you will make a stop before driving to Montmartre – the village of the artists and highest place in Paris – where your guide will take you for a small walking tour to discover the famous Place du Tertre with its cafés and shops and the Sacré Coeur basilica before driving you back again to your hotel. WINE & CHEESE TASTING – IN THE HOME OF A PARISIAN EXPERT – Born into a Champagne-producing family near Reims, our expert will provide you with a unique perspective on French wines and cheeses as you are welcomed into her home for a private tasting. First, visit a typical fromagerie (cheese shop) with our expert where you will learn about the finest cheeses and assist with the selection before the tasting begins. Once entering her beautiful Parisian apartment, you will review the wines which have been chosen form the best regions of France and are representative of the broad range of flavours that can be experienced around the country. As you taste each pairing of wine and cheese, your host will help you to isolate the textures and scents within the flavours. Savour the aromas while you relax in this charming environment and enjoy afternoon in true Parisian style. PRIVATE CRUISE ON SEINE RIVER – For a more intimate experience, jump aboard our exclusive Venetian yacht. Admire Paris highlights with a completely different perspective: Notre-Dame de Paris, the Louvre, the Conciergerie, and the Eiffel Tower… In the yacht, you will have a bottle of champagne, fresh fruits and soft drinks. The captain will take you to cruise along the Seine for one and a half hour. A magical 1½-hour private cruise. 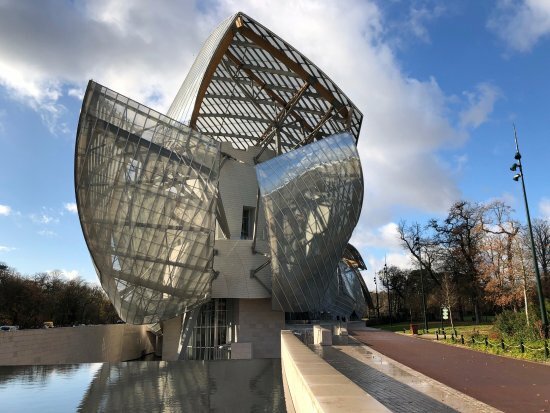 EARLY MORNING PRIVATE VISIT OF LV FOUNDATION BEFORE HOURS – Created at the initiative of Bernard Arnault by Frank Gehry, the Fondation Louis Vuitton, located in Paris, supports French and international contemporary artistic creation and makes it accessible to as many people as possible. You will have a private tour before the opening hours, which will give you a unique experience when exploring this magnificent work of art. Rising among the century-old trees of the Jardin d’Acclimatation, standing on a mirror of water, the building integrates harmoniously into its natural wooded surroundings, with which the building initiates a real dialogue. WALKING TOUR OF THE OCCUPATION AND LIBERATION OF PARIS (WWII) – This Walk will take you through the events of the World War II in Paris and what happened before, during and after the Liberation. All aspects are covered. Women and life in Paris during the Liberation, the daily events happening in Paris, the Resistance, the military highlights and Jewish life in the local neighborhoods. A relaxing stroll through Paris with fascinating photos and pictures to illustrate the events along the way. HALF DAY WALKING TOUR OF AVIGNON & SURROUNDINGS – For some time capital of Christendom in the Middle Ages, retains the indelible mark of its grandiose destiny: the Palais des Papes (palace of the popes), the Saint-Benezet brigde, called the « pont d’Avignon » of worldwide fame through its commemoration by the song, and the ramparts constitute an exceptional complex of monuments listed by UNESCO as World Heritage sites. In addition, dozens of churches and chapels, all remains of a past rich in history give the city its unique atmosphere. FULL DAY ST REMY MARKET & VISIT CARRIERES DES LUMIERES – You will start your day in St Rémy at the market. St Rémy de Provence a particularly interesting town because of its typical architecture: an old center with quaint 17th and 18th century houses and narrow cobblestone streets, surrounded with ramparts, around which is a circular boulevard planted with plane trees (sycamores of Provence), immortalized by Van Gogh. When one discovers Saint Rémy, one falls in love with the authentic atmosphere, which is so very Provencal. You will take the roads of the Alpilles valley the olives have been cultivated since the time of Ancient Greece. This area’s olive oil is an AOC – we will arrange a visit to an olive mill where you will understand how it is made & taste this local product.Today you enjoy lunch at a private estate in Provence, hosted by a family of local chefs. Food and wine pairing with some of the best wines from Les Alpilles (Domaine de Travellon, Dominique Haufette…) The location is one of the most beautiful estates, very authentic and Provençal with a nice modern touch. The host is one of you guide’s oldest friends and you will enjoy some traditional Provençal recipes in a charming and cozy atmosphere. After lunch you will enjoy a visit to Arles. 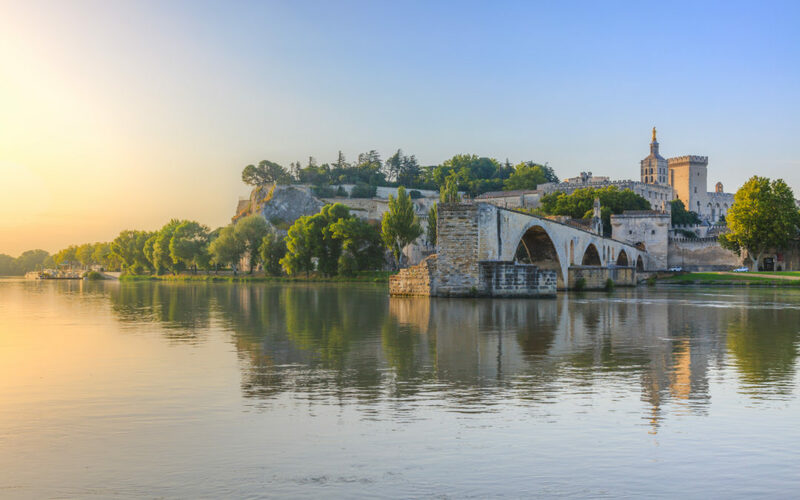 Few other towns in Provence combine all the region’s charms so well as Arles. Its Roman remains, such as the arena and Constantine’s baths, are complemented by the ocher walls and Roman-tiled roofs of later buildings. A bastion of Provencal tradition and culture, its museums are among the best in the region. Van Gogh spent time here in 1888-9, but Arles is no longer the industrial town he painted. FULL DAY WINE TOUR TO LUBERON & CHATEAUNEUF DU PAPE – Your private driver/guide will pick you up in the morning and together you will depart on a full day wine tour to the Luberon. During this trip you will visit 2 Wine Chateau and get to taste wines. 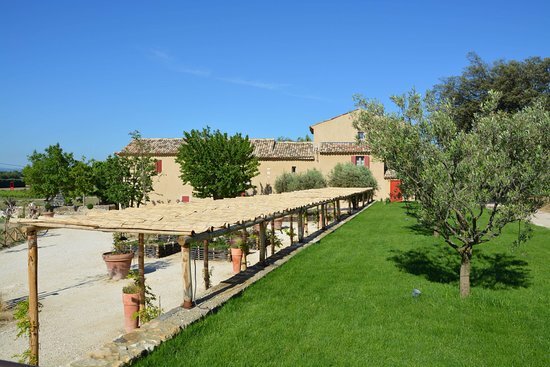 Your first stop will be at the Domaine de Peyre. This Domaine was taken over a few year s back by Patricia Alexandre, former director of Gault at Millhau. She hired Philippe Cambie, the best oenologist consultant to blend wines of the country. Ever since they belong to the top 3 rosé wine produce in France. After this first visit your driver/guide take you to visit the village Luberon which has a breath-taking view. From there you will depart to one of the most famous wine regions of France – Chateauneuf du Pape. There you will have lunch at La Table de Sorgues where most winemakers from Chateauneuf du Pape hang out. A sort of must be location. Later in the afternoon will get to see the behind the scenes of the harvest at Chateau Vaudieu, followed by a delicious wine tasting. PRIVATE TRANSFER & WITH LUNCH AT CHEATEAU DE BERNE– Your first stop after your pick up is at Chateau de Berne where ou will enjoy a beautiful lunch in the midts of nature. After you lunch your travel continues onward and your driver guide will take you to a visit of Chateau d’Esclans. 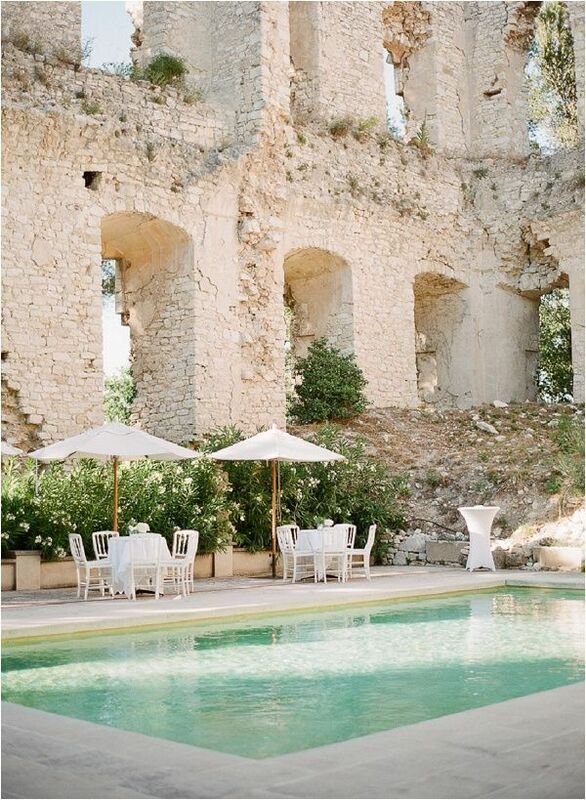 Chateau d’Esclans is located on an exceptional site, on elevated land near the Gorges de Pennafort, twenty five kilometres northwest of the ancient Roman city of Frejus on the Mediterranean Coast. Its rosé wine is the most expensive in the world. “Whispering Angel” is the most famous in the high society of New York. FULL DAY TOUR TO GRASSE, BIOT & MOUGINS– Perched on top of a hill, bathed in sunlight the old village of Mougins spirals down from its like a snail shell, with its ancestral streets and a splendid panorama over the Bay of Cannes. Pablo Picasso spent the last 12 years of his life living in Mougins. The village of Mougins is today a collection of restaurants, art galleries and estate agents. *Grasse: Coco Chane l may have first set up shop in Cannes, but when she wanted to create her classic “No. 5” fragrance she headed to Grasse, the perfume capital of the world, with its mild microclimate, which nurtures nearly year-round shows of tropical-hue flowers: orange blossoms, pittosporum, roses, lavender, jasmine, and mimosa. *Biot: Rising above a stretch of commercial-industrial quarters along the coast from Antibes, the village perché of Biot (pronounced “Bee-otte”) sits neatly on a hilltop. Threaded with cute alleyways and dotted with pretty placettes (small squares), the old town is so picturesque it almost demands you pick up brush and palette. This medieval village of Biot is proud to be one of the south of France’s most picturesque villages. Nearly 2500 years old, Biot is a world known village for its famous glass blowers. FULL-DAY PRIVATE TOUR TO CANNES AND ANTIBES – Cannes has linked its name to the world of cinema since 1946, a long sequence which lasts for 70 years, a romance on the big screen under the eyes of the whole world. Antibes Juan-les-Pins is a corner of paradise, crowned by a citadel cutting an imposing figure against the backdrop of the French Alps. It is ideally located at the heart of the French Riviera between Nice and Cannes. Here, Picasso Museum is located – a treat for art lovers. Picasso Museum, Picasso was invited to stay in Chateau de Grimaldi, an old castle of Antibes. Over the period of six months, he created numerous masterpieces, drawings and paintings. When he left, Pablo Picasso donated 23 paintings and 44 drawings to the city of Antibes. HALF OR FULL DAY CRUISE IN LUXURY YACHT – Hop on your luxury yacht for the day that will bring you alongside the beautiful Cote d’Auzr.